Also spelled whip-poor-will, which is a colloquialization of a bird species commonly referred to as the nightjar. The whip-poor-will is a bird from North and Central America, whose name is an onomatopoeia, or the verbalization of the sound, of its song, which, in English, sounds like "whip poor Will." There are two species of this bird in North America, the Eastern whip-poor-will (Antrostomus vociferus) and the Mexican whip-poor-will (Antrostomus arizonae). The Mexican whip-poor-will, which is found throughout the Southwest, is a medium sized nightjar that lives in wooded habitats and nests on the ground. 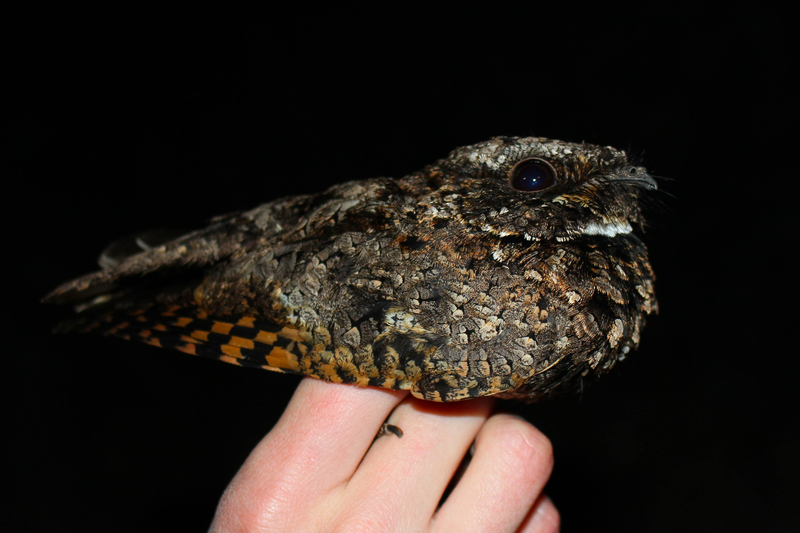 "The common whippoorwill, November 5, 2015" by Connor Long is licensed under CC BY-SA. 2011 Mexican Whip-poor-will (Antrostomus arizonae).